From the tiny and hidden to the biggest fish in the sea, the Philippines delivers an unrivaled variety of marine life, along with a remarkably diverse range of diving environments. Macro enthusiasts will find acres of the fecund bottom to search, marine parks harbor thriving reefs, offshore walls and pinnacles provide dramatic settings for drifts with schooling fish. Big animal encounters include turtles, sharks and mantas, plus consistent interactions with whale sharks, less-expected encounters with dugongs, and one of the world's only opportunities to interact with the thresher shark. Ashore, the warm and inviting culture of the Philippines creates a welcoming environment for visitors. The Philippines offer a wide variety of dive adventures from spectacular coral reefs to highly intriguing macro and muck diving. Depending on location, conditions are equally varied, with some sites such as Verda Island experiencing strong currents, while others such as Apo Island having placid waters. Access to sites range from shore dives directly off a resort to day-long boat excursions and live aboard cruises to remote islands. Though tropical, the Philippines experience seasonal variations in water temperatures. From June through October water temperatures can range from 79 to 87-F range, while the period from January through April can see waters drop to 73 degrees. Because of these numerous regional variations, it's best to contact the resort or dive operator when planning a trip in order to determine what conditions and environments are typical for that area. 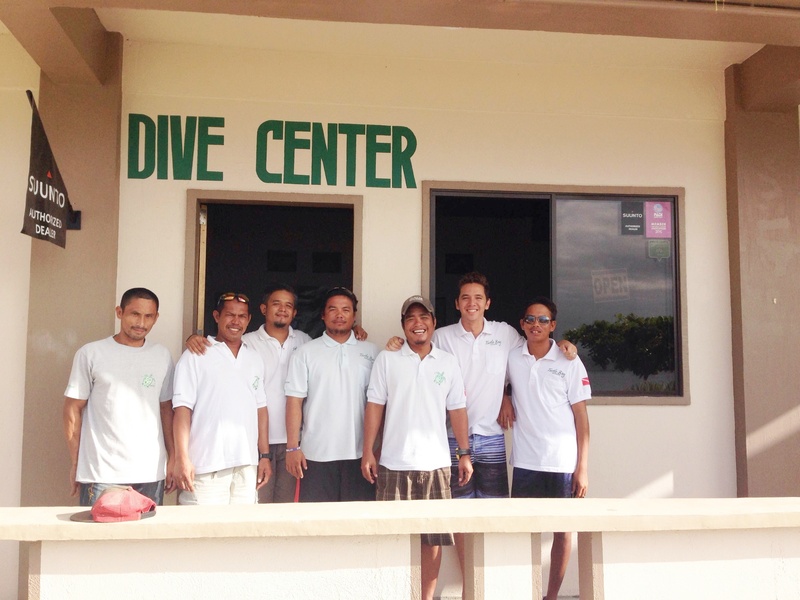 In locations like Anilao, Dumaguete and Puerto Galera, where muck diving is the main attraction, you'll want to hone your buoyancy skills so you don’t stir up the bottom. It's also advisable to invest in a reef or muck stick to serve as a stabilizing prop. For current dives, stow an inflatable surface marker and deployment reel in your BC. Rising from the depths, Cathedral Rock is covered in crinoids and anemones, and swarmed by enveloping clouds of damselfish and sergeant majors. At Dumaguete, wonderpuss, ghost pipefish, hairy frogfish and more can be found right off resort beaches. Divers ride the currents to fly over the vast hard coral fields of Apo Island, where green and leatherback turtles are joined by bump head parrotfish and schooling of trevally. Thresher sharks rise from the deep water to visit the cleaning stations off Malapascua Island. At Marigondon Cave, divers can enter a shadow-filled void in the wall that is lit by the eerie luminescent glow of flashlight fish. Napoleon wrasse and black saddle coral grouper patrol underwater cliffs at Tubataha's Wall Street, while The Washing Machine promises gray reef sharks in the amazingly clear water. The tropical climate lends itself to simple, compact attire such as a few T-shirts, shorts and swimsuits for wearing around resorts or on liveaboards. But it's advisable to bring a least one nicer change of clothes for dining out, as downtown Manila offers some very trendy restaurants and nightspots. 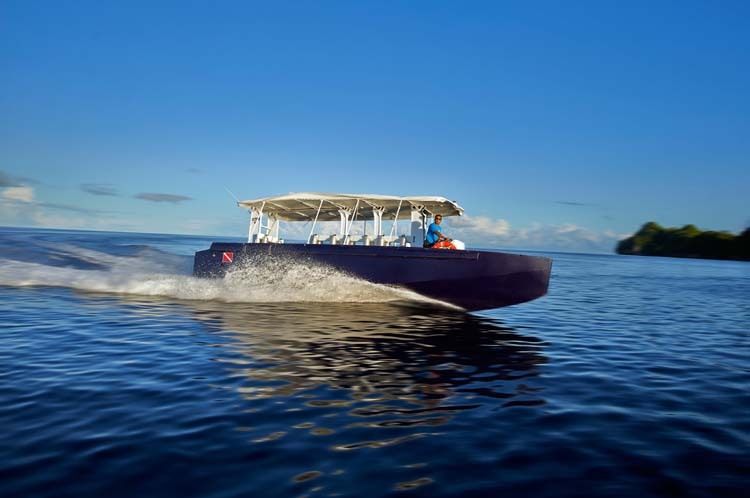 LIVEABOARD - 20% OFF includes 10 nights twin/double accommodations, up to 4 dives per day, free use of dive equipment, free Nitrox, breakfast, lunch and dinner daily, snacks, beverages including soft drinks and free beer. Valid for departure on 8/30/19. Book by 5/5/19. Additional departure on 10/2/19 at higher rate. DUMAGUETE - 20% OFF DIVE PACKAGE includes 7-nights Deluxe Suite room accommodations, 5 days of 2-tank boat dive including Apo Island, sanctuary fees and underwater camera fees, free Nitrox, breakfast including coffee, tea and juice, lunch and dinner daily, free WiFi, complimentary 10-minute Indian head massage, 20-minute intro to yoga class, roundtrip airport and ferry transfers, hotel tax and service charges. Valid through 11/30/21. Book by 5/1/19. LIVEABOARD - 10-NIGHT MALAPASCUA & VISAYAS ITINERARY includes 10 nights twin/double accommodations, up to 4 dives per day, free use of dive equipment, free Nitrox, breakfast, lunch and dinner daily, snacks, beverages including soft drinks and free beer. DUMAGUETE - 7-NIGHT DIVE PACKAGE includes 7-nights Deluxe Suite room accommodations, 5 days of 2-tank boat dive including Apo Island, sanctuary fees and underwater camera fees, free Nitrox, breakfast including coffee, tea and juice, lunch and dinner daily, free WiFi, complimentary 10-minute Indian head massage, 20-minute intro to yoga class, roundtrip airport and ferry transfers, hotel tax and service charges. LIVEABOARD - 6-NIGHT TUBBATAHA ITINERARY includes 6 nights cabin accommodations, 3-4 dives per day including 1 night dive, breakfast, lunch and dinner daily including snacks and all non-alcholic beverages, roundtrip airport transfers and tax. LIVEABOARD - 11-NIGHT TUBBATAHA & VISAYAS ITINERARY includes 11 nights cabin accommodations, 3-4 dives per day including 1 night dive, breakfast, lunch and dinner daily including snacks and all non-alcholic beverages, roundtrip airport transfers and tax. 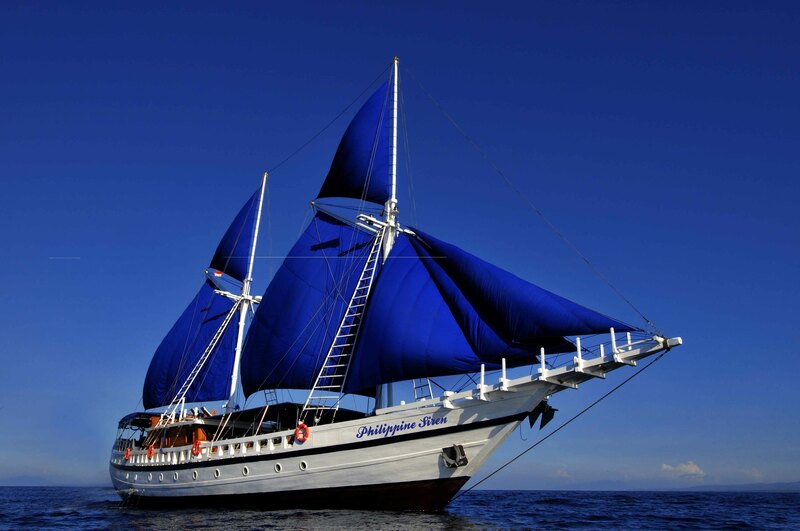 LIVEABOARD - 7-NIGHT APO REEF & CORON PUERTO GALERA ITINERARY includes private stateroom, all reef and wreck dives, all meals, local soft drinks, beer, wine and rum with dinner, roundtrip transfers, taxes and service charges. LIVEABOARD - 7 NIGHT BOHOL ITINERARY includes deluxe stateroom, up to 5 dives per day, all meals, snacks and local soft drinks, local beer and wine served with dinner. 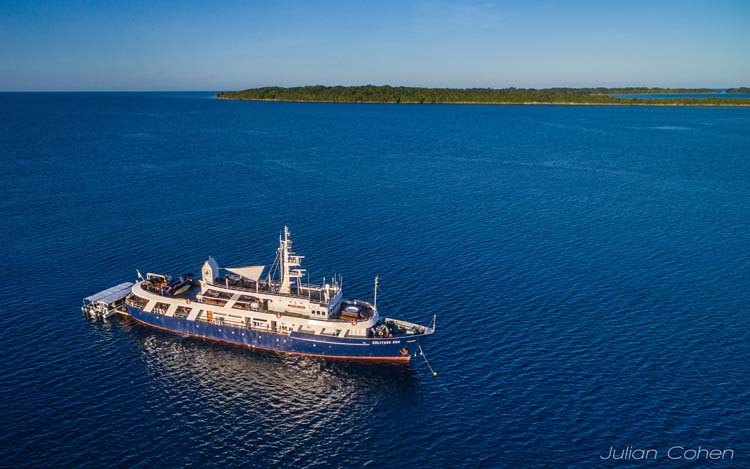 LIVEABOARD - 7-NIGHT TUBBATAHA ITINERARY includes private stateroom, up to 5 dives per day, all meals, local soft drinks, beer, wine and rum with dinner, roundtrip transfers, taxes and service charges. 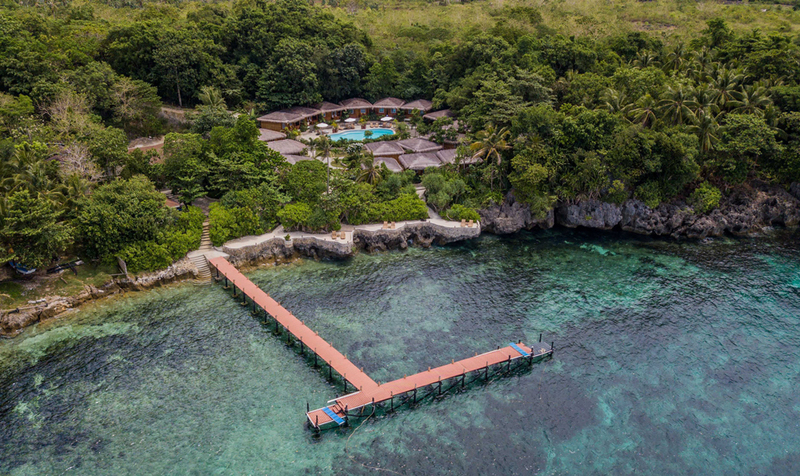 MOALBOAL, CEBU - DIVE PACKAGE includes 7 nights Superior Deluxe Cottage accommodations, 5 days of 2-tank boat dives, breakfast daily, free WiFi, roundtrip airport transfers, hotel tax and service charges. LIVEABOARD - 6-NIGHT SOUTHERN VISAYAS ITINERARY includes 6 nights twin/double accommodations, up to 4 dives per day, free use of dive equipment, free Nitrox, breakfast, lunch and dinner daily, snacks, beverages including soft drinks and free beer. 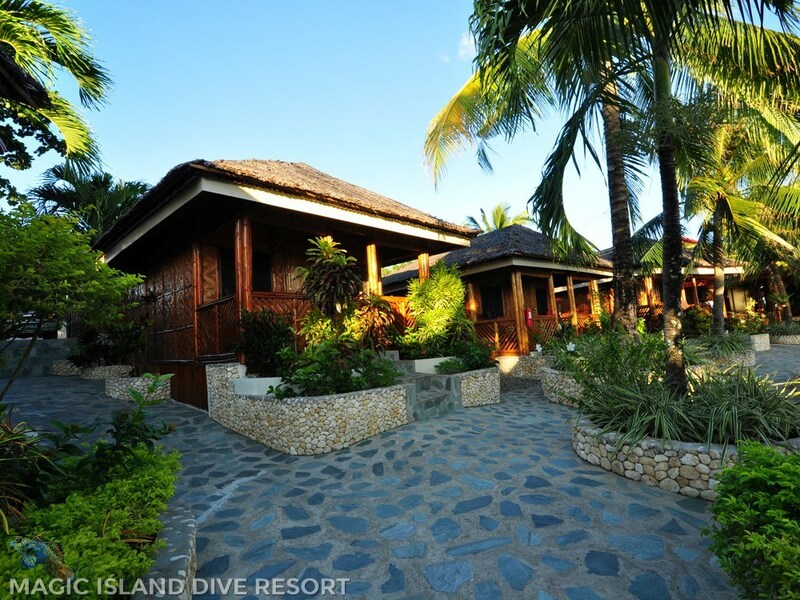 MOALBOAL, CEBU - DIVE PACKAGE includes 7 nights Garden-view Deluxe accommodations, 5 days of 2-tank boat dives, breakfast, lunch and dinner daily, roundtrip airport transfers, hotel tax and service charges. PUERTO GALERA - DIVE PACKAGE includes 7 nights deluxe accommodations, up to 5 boat dives daily including night diving, breakfast, lunch and dinner daily, water, coffee and tea, internet access, hotel tax and service charges. ANILAO - 7 NIGHT DIVE PACKAGE includes deluxe accommodations, 12 boat dives, breakfast, lunch and dinner daily, roundtrip airport transfers, hotel taxes and service charges. DUMAGUETE - DIVE PACKAGE includes 7 nights accommodations at Atlantis, up to 5 dives per day including night dives, all meals, coffee, tea and filtered water, unlimited internet access, hotel tax, and service charges. 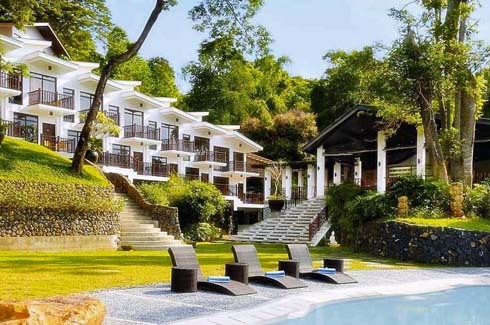 MOALBOAL, CEBU - With a magnificent view of the mountains of Cebu and Negros Island, this resort offers accommodations for only 20 divers. 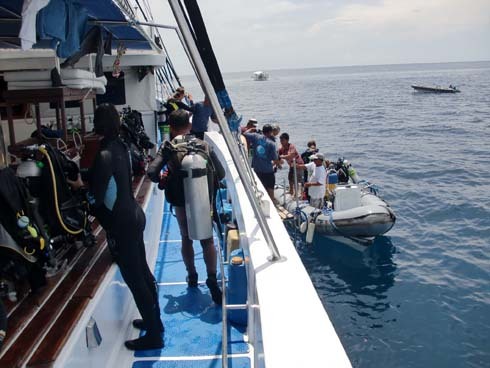 With 3 boats and 4 local dive guides, the dive groups are always small. Spend time exploring the beautiful critters and macro life that Magic Island’s guides are experts in finding. 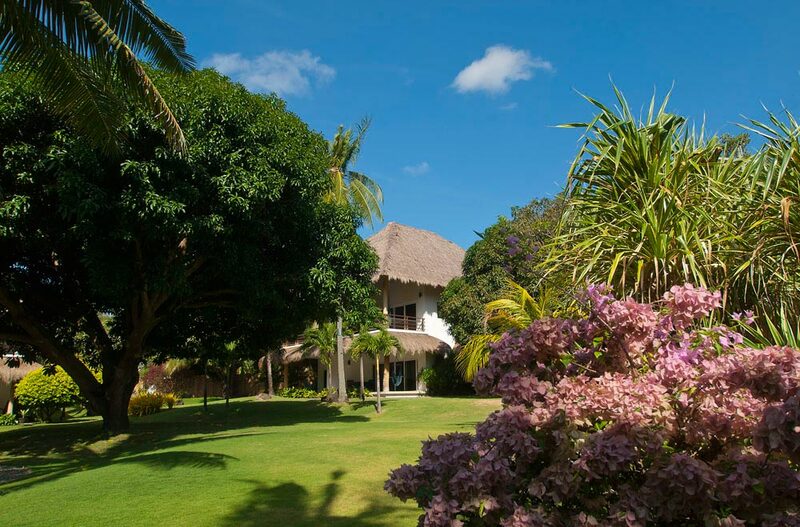 MOALBOAL, CEBU - The property is lovely - rooms are decorated with beautiful Indonesian wood furniture and the rooms surround a pool and tropical gardens - there's a spa, game room, poolside bar and restaurant - and a number of rooms also offer sweeping ocean views. 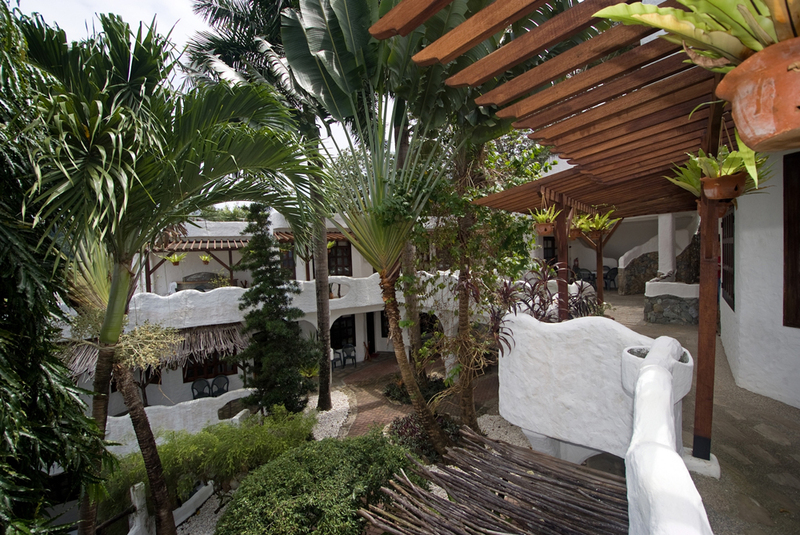 Chill out between dives around the lagoon pool, in the lush gardens, or the spa. Dive masters know where to find all the fish and critters from pygmy sea horses to sea turtles. 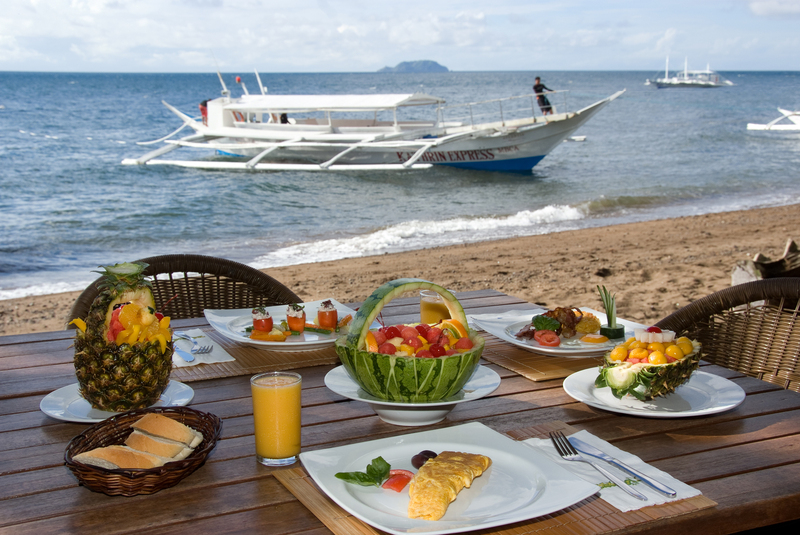 ANILAO - Aiyanar Beach & Dive Resort is the epitome of a stylish resort that strives to make staying ashore as pleasurable as diving itself. Strategically situated on the mountainside, Aiyanar presents you with a grand panoramic view of the sunset against the ocean's vast expanse. 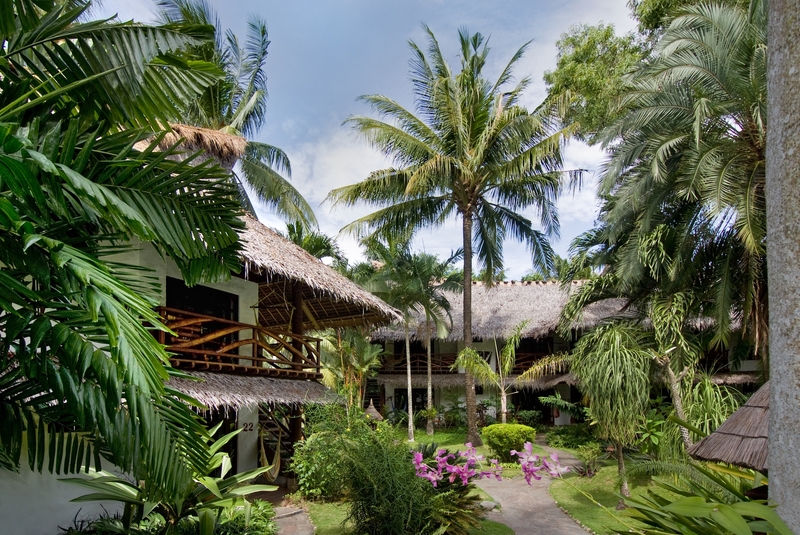 DUMAGUETE - This relaxed first-class eco-resort is located beachfront among several marine sanctuaries. Dive local islands including world famous Apo, Siquijor (Island of Witches), and even fabled Balicasag. Stunning walls, dramatic drifts and some of the best muck diving in Asia are all easily available including abundant resident mandarin gobies. PUERTO GALERA - Located on over six miles of marine reserves featuring pristine coral reefs, beautiful walls and some of the best muck dives in the Philippines—this is a macro photographer’s paradise. 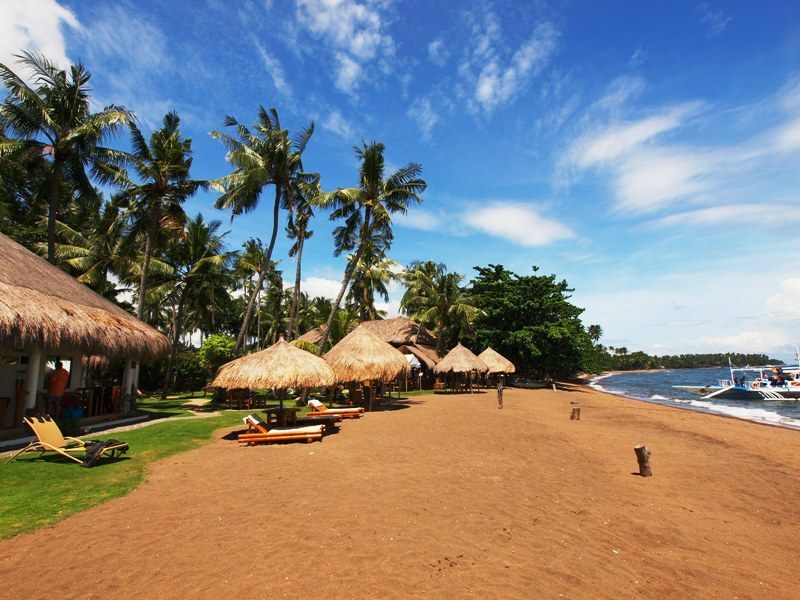 DUMAGUETE - Pura Vida Beach & Dive Resort is located in Dauin, 15 kms south of Dumaguete City on Negros Island. The facility is built by divers, for divers and is under Swiss Management. The resorts beach restaurant serves Asian as well as international delicacies and Vida Spa offers professional massage services. LIVEABOARD - Solitude Liveaboard’s definition of luxury begins with its design, creating purposeful and functional spaces for rest and play. 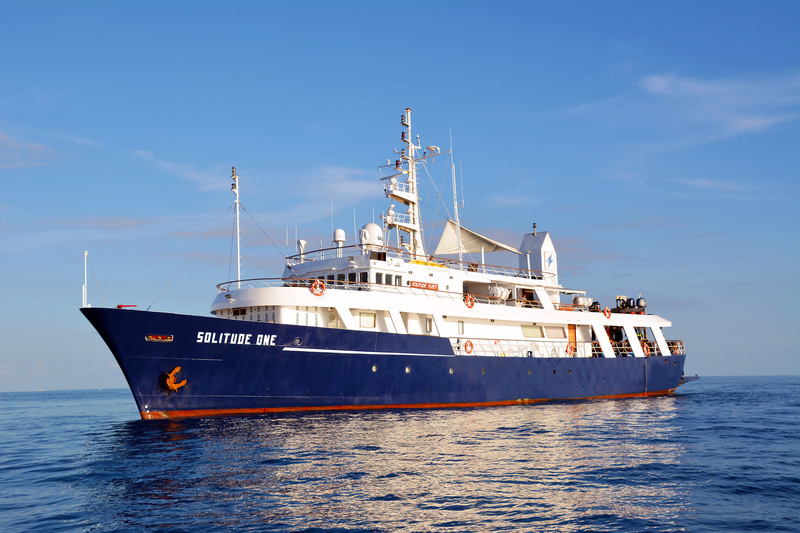 MV Solitude One incorporates the latest on-board technologies for safety and diving, whilst on board crew pamper to your senses and indulgence. Her dive deck and boat deck space can also be easily modified to reconfigure for major exploration expeditions, while still providing the exploration team members the luxury of modern home comforts. Every guest on board will be cared for by well-trained staff who address guests by name, anticipate individual needs, and appear only when needed, allowing them the privacy of “a home away from home”. 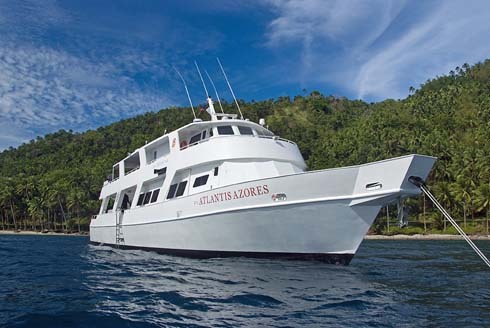 The 107' liveaboard yacht, the Atlantis Azores, offers the same high level of service, quality accommodations, gourmet meals and world-class diving that the Atlantis Dive Resorts in Dumaguete and Puerto Galera are famous for from the comfort of a luxurious yacht. Click below for 7-night Bohol departures from June-December 2016. See separate listing for Tubbataha departures (March-May). These trips fill quickly so contact us for current availability or information on Anilao, Apo Reef and Coron itineraries in January/February. The Philippine Siren is a 140-foot traditional Indonesian "Phinisi" handcrafted from ironwood and teak. Itineraries include 6-night itineraries to the Tubbataha Reef Marine Park, a UNESCO World Heritage site, as well as itineraries to Malapascua (thresher sharks!) and some of the Philippines best dive sites in the Visayas. Click below for 6-night Visaya itineraries available through 2018 (June/July departures). These trips sell out quickly so contact us to confirm current availability. The Philippines sit at the eastern edge of the bio-diverse coral triangle, supporting more than 500 types of coral, 3,000-plus species of fish, and more than twice that number of small and unique invertebrates. Counts continue to go up as new species are discovered almost weekly. The archipelago is composed of some 7,000 islands that offer a combined 22,500 miles of coastline. Obviously, there is no shortage of diving opportunity, and the challenge for visitors is often deciding which of many excellent regions to select. The primary hubs for diving center around Anilao and Puerto Galera to the north, along with Dumaguete, Cebu, Bohol, Palawan, and Coron in the central region of the Philippines. Diving in Anilao is primarily done in small open boats known as bancas, set up for groups of four to as many as 10 to 12. 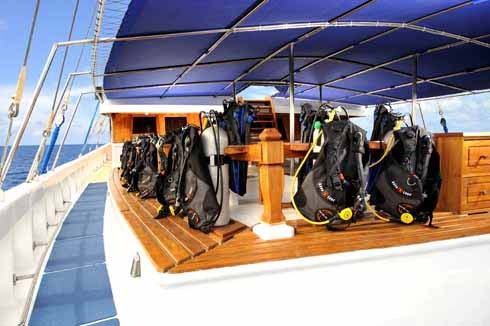 Because dives sites are usually just 15 to 30 minutes from resorts, daily schedules usually provide two dives in the morning, followed by a lunch back at the resort, with another 1 to 2 afternoon/night dives. Night dives in Anilao are highly recommended. Because there are shallow components to many sites, it's not uncommon for multi-level profiles to exceed 70 to 80 minutes. Having a Nitrox certification can be a big advantage. Some of Anilao’s top sites include Twin Rocks, Basura, Mainit Muck, Kirby's, and Bethlehem, all of which offer consistently target- rich environments for underwater macro photographers. Nearby Beatrice provides excellent wide-angle opportunities on slopes covered in soft corals and crinoids, with schooling anthias as thick as raindrops. Dumaguete is widely known for muck diving, but a 45-minute boat ride away is Apo Island, which offers a distinctly different venue with stunning coral gardens and prolific fish life. At sites like Chapel Point, Cogon and The Sanctuary the reef ends with a gorgeous steep mini-wall down to 100 feet with a healthy blend of hard and soft corals. In addition to a bevy of moray eels, reefs are thick with anthias, clownfish and shrimp gobies, and both hawksbill and green sea turtles are quite common. Across the Verde Island Passage from Anilao is Puerto Galera, which features some 30 dive centers and resorts along the north coast at Sabang Beach and White Beach. With shores washed by currents from the South China Sea, most dives are conducted as drifts, which carry divers along an underwater landscape covered with soft corals and sponges and carved with small drop-offs and canyons. Divers can duck into one of these recesses to escape the currents and watch snapper, sweetlips, barracudas, jacks and an occasional white-tip shark cruise by. Among the long list of must-do dive sites in the area are Canyons, where a trio of deep clefts in the wall allow divers to drop out of the way of the current and discover sandy alcoves that are home to octopus, scorpion fish and sea snakes, then return to blue water frequented by manta rays, thresher sharks and hammerhead sharks. Moving south, Bocaray is known for drift dives along walls visited by whitetip and grey reef sharks, schools of tuna, manta rays and eagle rays. At the northern tip of Cebu the small island of Malapascua is famous for thresher sharks, but also delivers walls, spectacular soft coral growths and a diverse roster of marine life that includes batfish, flutemouth, barracuda, tuna, mantis shrimp, pipefish, scorpionfish, lionfish, Moorish idols, schooling bannerfish, unicorn fish, squid, octopus and various moray eels. Just off Cebu's eastern coast, Mactan Island is one of the most popular diving destinations in the Philippines, with short boat rides of sites along a deep channel. Best known is Marigondon Cave, which is a large tunnel in the side of the wall that is home to luminescent flashlight fish. Another favorite is Tingo Point where thresher sharks are sometimes joined by passing hammerheads. Across the channel, the southern coast of Bohol and Panglao Island are jumping off points from trips to the marine sanctuary at Balicasag. A dramatic wall starts at depths of 10 feet and plunges to more than 200, but even more impressive are the huge schools of jacks that blanket the wall in a living curtain, and the numerous grouper and large wrasse that congregate at cleaning stations. The sanctuary is also known for smaller finds such nudibranch, eels, frogfish, scorpionfish and leaf fish. Live-aboards provide seasonal access to the World Heritage Site of Tubbataha Marine Park. This remote reef is renowned for both the density and diversity of marine life. Here, walls and reefs are overgrown with forests of multi-hued soft corals, and frequented by pelagics such as mantas, sea turtles and sharks.